Getting your teens to help out around the house. 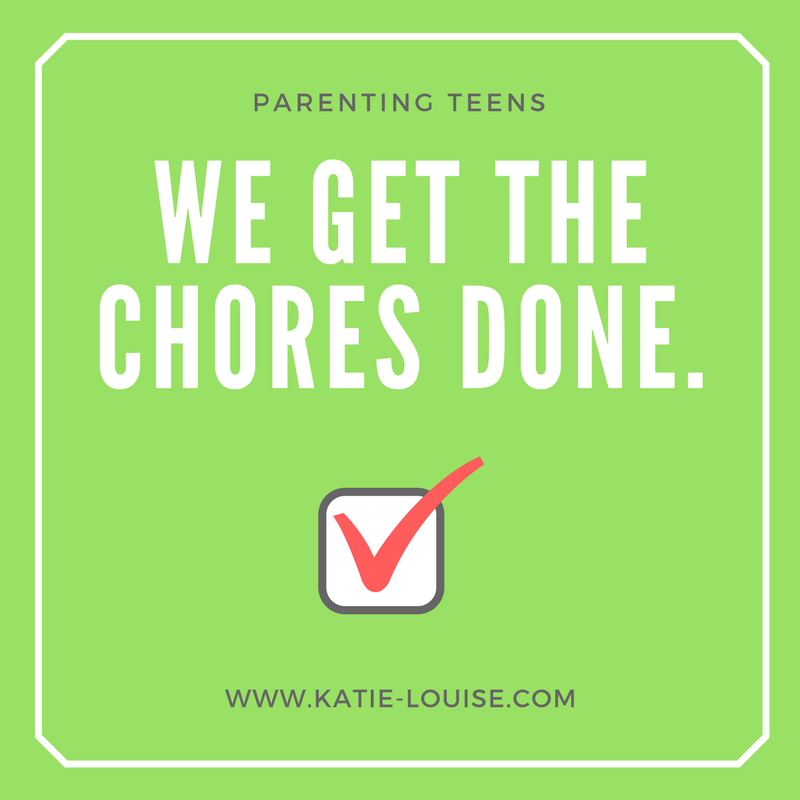 I am now going to share with you what has worked for our busy family being a parent of two teenage daughters I know first-hand how challenging it can be to get them to help out around the house from time to time. Not only does it help us out it is also teaching them a little bit of responsibility and teaching them life skills they need when they leave home to be able to fend for themselves. Talk openly and honestly with your teen about the chores which you would like for them to be responsible for, explain why they need to help around the house. Constantly nagging makes them less likely to carry out the simplest of task you may have asked them to do. Around the house, will only leave yourself feeling frustrated and your teen angry, as will asking them to do a job straight out of the blue. Set a deadline for the tasks to be carried out, giving them full flexibility when they carry out their tasks set for them. Give them complete responsibility for the task, don’t tell them how you think they should be carried out or where to start. Sometimes it’s not down to the fact that your teen is not necessarily motivated to carry out these simple day to day tasks. Teens have a lot going on hormones; it could be school down to revising for exams, homework, maybe their friendship circle making it very easy for them to be distracted. Help them get into a routine. Leave pointers & tips for the task they need to carry out. Leave a chore rota on display. Top tips – Set up Apple family this will ping little reminder on their mobile devices, this way you don’t need to nag. It gives you full control when and how often they get reminded; it can be set up for each family member. Trello app is a great alternative to apple family. Lead by example including yourself in the chore list, so your teen sees you carrying out and marking off your tasks when they have been completed. The first thing that will go through your teens head when being asked to carry out a task will be – What is in it for them, why should I?! I provide my teen with what they need, not everything they want. I am teaching my child a good work ethic by rewarding them with spends for carrying out their chores for them to save and buy those things that they want. If you don’t want to reward your teen with spends, you can plan an exciting family trip out. If the tasks are not complete with your time frame, then there is no reward. Most importantly I always like to thank my teen when all our tasks are complete. i don’t have kids, but these all sound like great tips. i know as a teen i worked best on a reward basis. My kids know that chores need to be done before they get computer or tv time. They also do not get paid for chores as they are a part of the family. oh my this reminds me of my childhood years! I remember saying all the time it’s not fair but getting into a routine surely helps a lot! I need to do this with my teen. He can be quite lazy at times. I need to make sure he is doing chores. And keeping his room clean. It can get pretty gross. These sound like some great ways to try and get your child into doing some jobs around the house. I don’t have kids myself but 100% sometimes I need motivating myself lol. Wow this is such a helpful article for a new mommy. I totally agree one must explain to them rather than nagging or scolding. These are good steps to guide children to be independent. Teenage is the best age to learn such responsibilities. This is quite nice. Who would have thought we could set up centralised reminders for chores for the family. Will keep this in mind certainly. I love to read this kind of articles. It’s nice to know what kind of chores are perfect for what kind of ages. It’s also a huge help when the kid is doing his chores. The reply of “I will do it later” can be always heard you are so right. Glad to pick up so many tips here and I hope to apply them. Thanks for the post this is very helpful as my kids are growing and I was wondering how moms handle their teens ??? Great tips! We are struggling with getting our teen to do simple chores. I may have to try a few of these out. This may be even useful for the younger ones too! Great tips and thanks for sharing! These are great ways to motivate your teens into doing chores. Kids today are o glued to their phones and computer and seem to forget about chores. I think that rewarding is a great incentive. Great tips! My parents only had to give me and my brother “the look” to get us to do our chores! lol. I got rewards for good grades, but never for doing chores. I still think these are really good tips! Parents will thank you for this tips. I know its never easy to ask teens to do chores. My cousins always complain about their teen kids. Having teenagers is so hard! I have two of them right now, and it’s like pulling teeth to get them to help. I’ve learned that making their privileges (like cell phones) contingent on their contribution to the household is very effective.